Tailor Made or Off The Peg? - Ex-display and Clearance Models. All types have their advantages, hopefully this article will help you decide which one suits you best. Fixed spec models are available to dispatch next day ready to ride, fully checked and adjusted by our Cytech trained mechanics. They offer the best possible value and a simple check out process- all the hard work has been done for you and you can rest assured that your bike will be both functionally and aesthetically spot on. The customisable options do work out a little more expensive, but are still eye-watering value compared to the conventional brands due to the fact the we work with frame and component manufacturers directly ourselves, build the bikes ourselves, ship them to you- with nobody in the middle. Choose a customisable bike and your order will go into the "build queue"- currently 4 working days but longer during busy periods. You'll be notified when your bike gets built and it will be dispatched same day. Under the expert guidance of former Irish Team Manager and cycle industry guru "Big" Frank Campbell the Custom option is your chance to have your bike specced and built exactly how you want it. Within reason, anything goes, though Frank will advise you too. The Custom option doesn't always work out expensive- give it a go and email [email protected] for a quote. 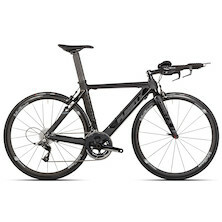 The new "In The Corner" clearance section is rapidly expanding with ex-display and ex-demo bikes that are priced to sell quickly- offering the best value for money anywhere. Clearance bikes are sold as seen but each one is fully checked, adjusted and ready to ride before it is dispatched, usually on the same day that you order it. And of course, all clearance bikes carry our standard warranty too. Whichever option you choose you can be sure that your bike will be built and dispatched by fully trained mechanics live and breath cycling. We are proud to have nationally ranked athletes amongst our staff- including Commonwealth Games Bronze medalist Wayne "The Train" Randle and Tour of the Peak legend Mark Lovatt who heads our bike build team. And if you need any advice in choosing your bike, look no further than time trial legend Mr Ian Cammish who heads up the Planet X customer service team. See our current list of fixed spec and fully customisable bikes below. The Pro Carbon with Shimano's brand new Ultegra 8000 11-speed groupset is the perfect marriage of advanced design, performance and value for money. 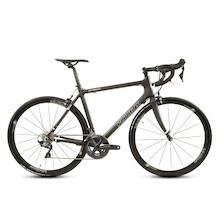 Our most versatile road bike with Shimano's best selling components, it's perfect for all demanding cyclists.